I was delighted to act as a consultant in the selection of piano pieces for the new London College of Music (LCM) piano syllabus and I was impressed with the breadth and variety of music under consideration. When I received copies of the new handbooks, I was pleased to see some of the pieces I had suggested included in the new syllabus. I am a recent convert to LCM music exams, having heard very favourable reports of both the exam formats and repertoire from teaching colleagues and friends who have taken both Grade 8 and the ALCM first level Diploma. LCM is clearly alert to the changing nature of piano teaching in the 21st century and in addition to traditional graded music exams, the board also offers Recital Grades, Leisure Play, Performance Assessment and the new Concert Diploma. This allows teachers and students to select an exam format which suits them (some students, particularly adult learners, prefer not to learn technical work or undergo the stress of aural tests or sight-reading). Several of my more advanced students have opted for the LCM Recital grade and are very much enjoying the repertoire, as am I. If we are to encourage and support students of all levels and ages, I believe it is important to be flexible in one’s approach to exams and to find an appropriate syllabus and format to ensure maximum enjoyment is combined with progress. The new LCM piano syllabus is impressive in its variety. Across the grades there is a wide range of musical genres, including jazz, “crossover”, and contemporary classical music, as well as core repertoire from the classical canon, which should appeal to all ages and tastes. In the early grades, there are pieces which will suit adult learners (often a problem in other syllabuses, where there is a preponderance of “children’s music”). Of all the exam boards, LCM is the one which features the most music by female and living composers, including works by Max Richter, Joanna Macgregor, Sofia Gubaidulina, Teresa Carreno, Lili Boulanger, Fanny Mendelssohn, Cecile Chaminade, and Lera Auerbach. In addition, there are pieces by perennially popular composers of accessible and interesting piano exam music, including Pam Wedgwood, Christopher Norton, June Armstrong, Ben Crosland and Elissa Milne. The handbooks are very well-produced with robust covers and high-quality thick cream paper (very similar to the paper used in Henle Urtext editions). The books are slightly larger than the previous LCM piano handbooks and the typesetting of the music is very clean, uncluttered on the page with clear markings. Each piece is accompanied by a note which gives background information on the composer and the music and guidance on how to explore and shape the music for performance. 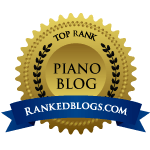 It is particularly gratifying to find these notes are written by active concert pianists (such as Daniel Grimwood and Zubin Kanga) who are thus able to offer expert experience on how to approach the music in performance. In addition to the pieces and notes, each handbook contains all the relevant technical work for each grade, two studies, guidance for the Discussion (viva voce) element of the exam, including sample questions, sample sight-reading pieces and notes on the aural tests, all of which should ensure candidates are fully prepared and means teachers/students/parents do not need to purchase additional books of scales and arpeggios or sight-reading exercises. The new LCM syllabus is valid from 2018 until the end of the summer exam season 2021.